November 9th 2017 - The 2017 Team Golf season has come to a close with the year ending Fall Championship on Sunday, November 5 at Weston Hills Country Club. Fifteen facilities from across south Florida competed in the season ending Championship for a chance to win the overall title. It was a tight race, but after the nine-hole competition the PGA Golden Bears from PGA National Golf Club took home first place. Team coach Steve Cox, PGA and his team of 8 junior golfers capped off a successful season by winning the Fall Championship. "SFPGA Team Golf is an integral dynamic of PGA National's Junior Development Program. It's capacity to grow the game is second to none. Congratulations to our PGA Golden Bears on their success and another championship season," said Steven Cox, PGA, team coach of the PGA Golden Bears. 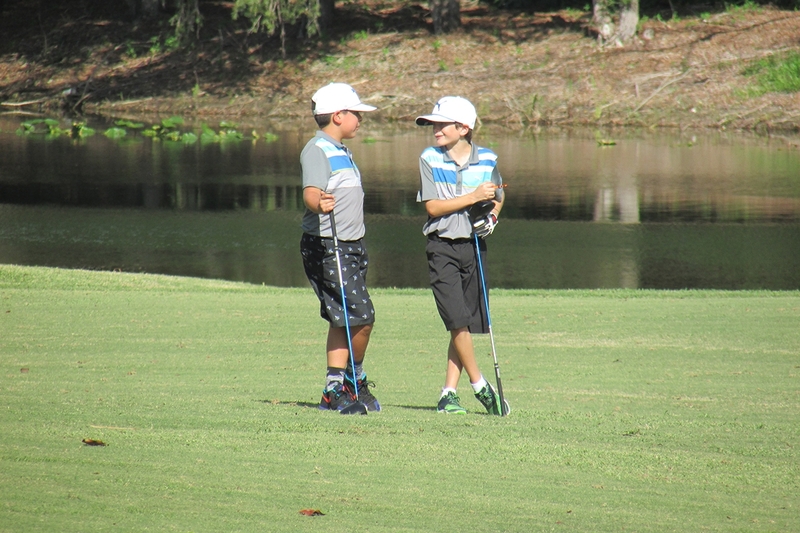 In its fifth season, Team Golf continues to provide a fun and social atmosphere for young golfers to develop their skills at an entry tournament level. Since April, 66 total tournaments were conducted with six separate leagues and over 550 junior golfers participated this year. Over 50 PGA and LPGA Professionals, at both public and private golf facilities, helped form teams and served as the team coach at their facility. Teams are comprised of 6-12 players ages 6-14. Teams can be coed and the tournament format is a two-person scramble, playing 9-holes of stroke play. Leagues are separated by county and were located as far north as Indian River County, as far south as Miami-Dade County and as far west as Naples/Fort Myers. Thank you to all the PGA Professionals, host facilities and families who made Team Golf a success in 2017!